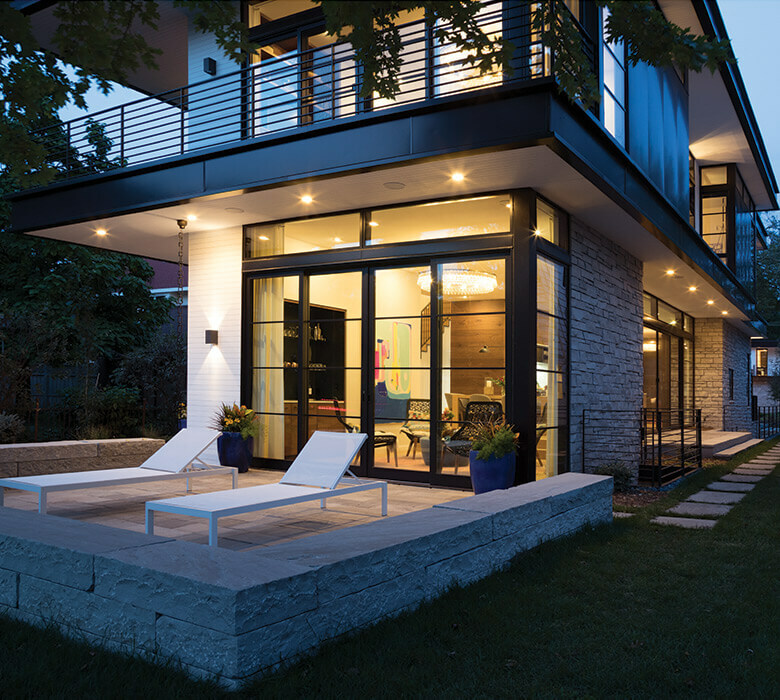 One homeowner favored traditional design while the other preferred contemporary. Peterssen/Keller focused on aspects of both perspectives, creating an open floor plan with multiple gathering spaces. 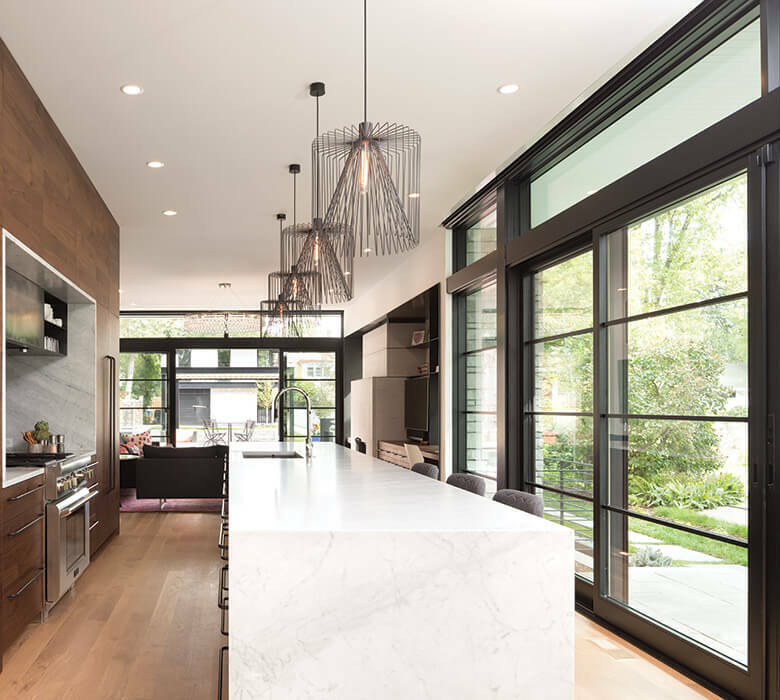 VistaLuxe® windows and doors integrated naturally into the organic design. Kolbe's sleek modern profiles with divided lites helped us satisfy the clients' desire for a modern home with traditional references.